DO YOU HAVE WINDOW CONDENSATION? Window condensation is so. not. fun. First of all, there goes your view! And it’s not good for the windows or walls: all that moisture can lead to rot and problems with mold and mildew, as well as lift up paint and damage plaster. 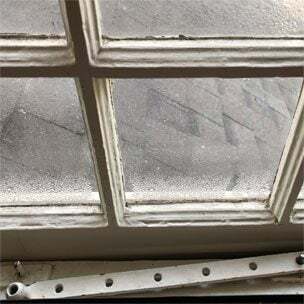 To address the problem of window condensation, it’s important to understand why it’s happening. Left side with Indow window insert, right side without. Window condensation forms when the interior surface temperature of your windows is at or below the dew-point temperature of the surrounding air in your house. What’s the dew point? That’s when the air is no longer able to “contain” all the water vapor mixed with it. Some of that water vapor has to say “see ya”, so it condenses into liquid on the window pane. Think of the air as a sponge holding water: when the temperature drops, that squeezes the sponge onto the interior surface of your window. WHAT ENVIRONMENTAL FACTORS AFFECT IT? The inside and outside temperature, as well as the relative humidity of a space, determine whether your windows get foggy. As the air cools outside, it may cause the interior surface of your windows to fall beneath the dew point. If all other conditions are equal, condensation will occur more quickly in a space that’s more humid. And all kinds of things increase the humidity of a home including breathing, pets, showers and plants to name a few. 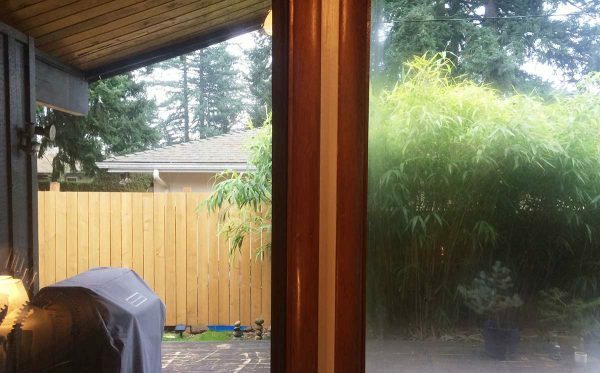 SOLVING WINDOW CONDENSATION WITH INDOW WINDOW INSERTS. High-grade acrylic insulates better than glass: acrylic holds more energy and stays above the dew point more easily. 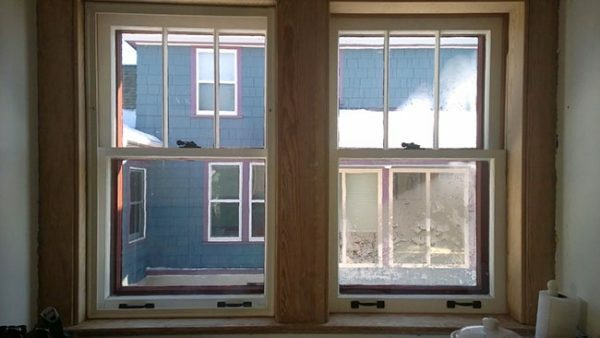 To learn more about condensation and how Indow inserts have helped customers eliminate window condensation read more. 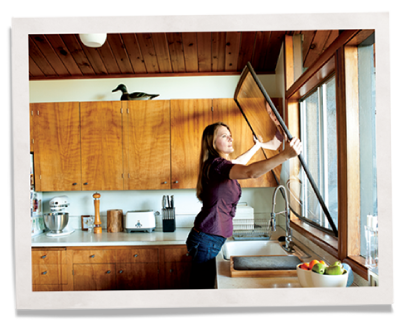 *Indow window inserts will reduce or eliminate condensation in most cases, but not all. Sometimes structural issues can interfere with the ability of the inserts to solve the problem.